Nigel Williams is the proprietor of Premier Dents; an Oxfordshire based mobile Paintless Dent Removal (PDR) Company. With over 35 years' experience in the motor body repair trade, Nigel can offer you a friendly, reliable and cost effective service. Trade and private work is undertaken. Repairs can be carried out at your convenience, at home or at your workplace, making repairs easy and stress free. 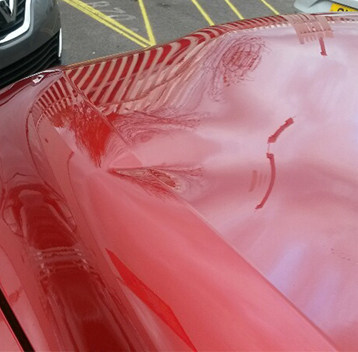 PDR is an environmentally friendly method of removing minor dings and dents when there is no damage to existing paintwork. Dents can be gently massaged back into shape using a variety of specialised tools, saving the need for expensive and time consuming body shop repairs. Most repairs can be completed in less than a couple of hours, saving you time and money. 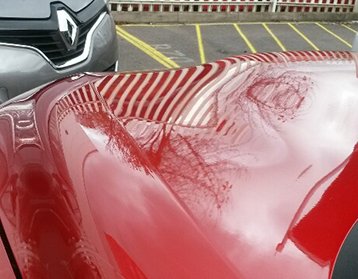 The main causes of damage to bodywork include car doors opened against panels (a common cause), dents & creases caused by shopping trollies, pushbike handlebars, low speed impact damage, wheelie bins, hail damage and vandalism. Our customers include major dealerships as well as satisfied private customers.